Ted Adler is Assistant Professor of Art and Area Head of Ceramics Media at Wichita State University. Prior to moving to Wichita, he served Northern Arizona University’s School of Art as an Instructor and Ceramics Studio Coordinator in Flagstaff, AZ. He received his BA from Lewis and Clark College in Portland, OR in 1993 and his MFA from Ohio University in Athens, OH in 2002. Adler has studied with the internationally respected artist Toshiko Takaezu, with whom he apprenticed for more than a year in her Quakertown, NJ studio. He also spent two years as artist-in-residence at the Archie Bray Foundation, the internationally celebrated center for the ceramic arts in Helena, MT. 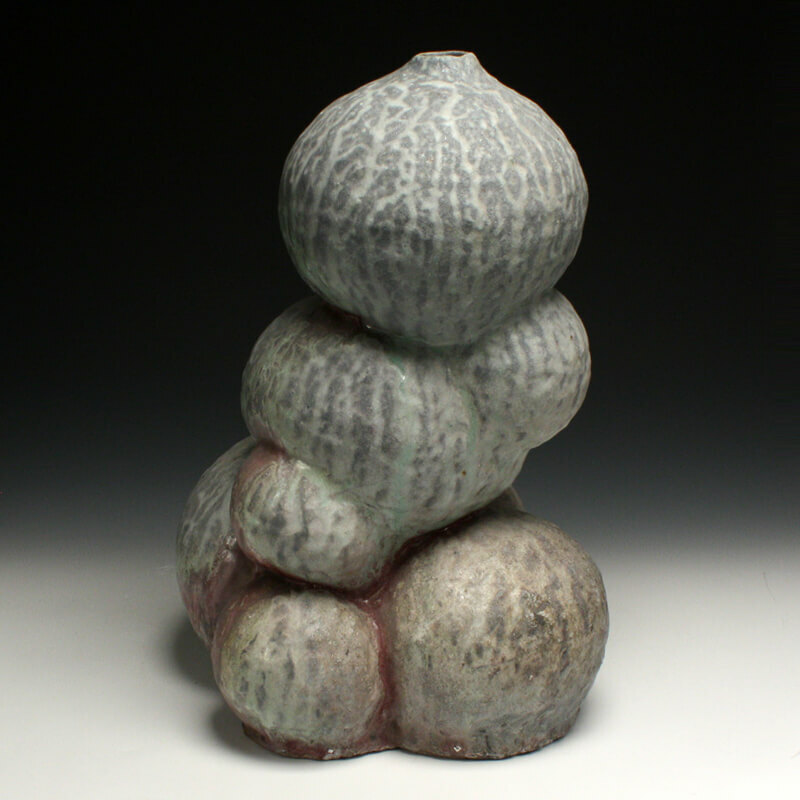 Adler has exhibited work, conducted workshops, and served as visiting artist at numerous ceramic centers and universities in this country and internationally. My work is an interrogation of the fundamental sensuality of the lived experience as well as the role of the vessel in our capacity for self-ideation. I am re-framing the dialogue between the ceramic vessel and contemporary cultural issues through reference to biological models and the phenomenology of experience within a decidedly ceramic historical perspective. The malleability of clay and its analogous relationship with the body are used to underscore ideas of permeability and penetrability in the central theme of transformation. Surfaces are discontinuous and often contradictory, disallowing the reading of an un-fragmented whole, implicating an experience of the sensible that is simultaneously external and internal.